If you've surveyed the Austin restaurant landscape of late, you may be overwhelmed at the number of new offerings in both Central Austin and further afield. Lest you think that the pace will slow down, we've compiled updates on more than 50 restaurant and bar projects that have either just opened or are scheduled to arrive over the coming year. Nearly every big chef name in town has something in the works: look for updates from David Bull, Rene Ortiz, Shawn Cirkiel and Bryce Gilmore below, along with a bevy of other new Austin restaurants, food shops and bars. Currently in build-out phase, 416 opens this week at 5011 Burnet Rd. The project is helmed by father and son team John Jurey (Whole Foods Market) and Colin Jurey (24 Diner). The menu is American and locally sourced where possible. This modern southern creation from James Robert (Eddie V's) opened in late December in the new IBC Bank building on West Fifth Street. The early word is very good. This large restaurant from the former Hickory Street team is now open on Anderson Lane and showcases a large-scale wine program. The highly anticipated "seasonal vegetable" restaurant from Contigo's Andrew Wiseheart and Ben Edgerton is open and garnering a lot of discussion. Fans love the creativity and risk-taking, while detractors have mentioned high pricing and small portions. Regardless of your take, it appears to be a thought-provoking experience. The first post-La Condesa/Sway project from Rene Ortiz and Laura Sawicki, Launderette should open in late February on Holly Street. The restaurant is described as understated, fresh and a neighborhood hub. A second Ortiz/Sawicki restaurant called Angry Bear and an ice cream shop are also rumored to be in motion for sometime in 2015. The new Chinese restaurant from the Swift's Attic team is on track to open in March in the IBC Building downtown. Wu Chow recently hired Ji Ping Chen from New York City as executive chef and Ling Qi Wu as dim sum chef. The restaurant has been doing preview services at Swift's Attic and is generating a lot of excitement. 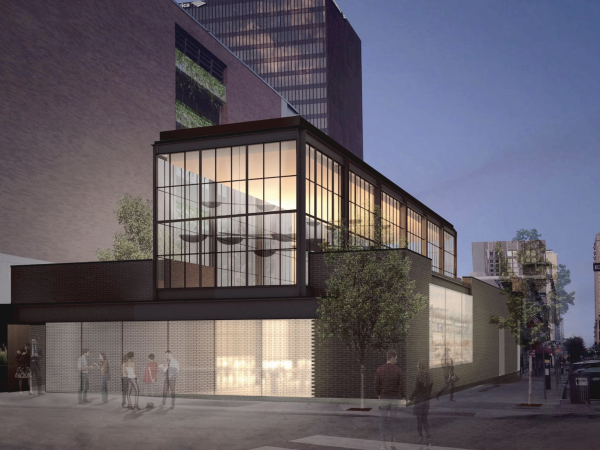 Perhaps the biggest upcoming project in Austin, Chef David Bull's latest restaurant will anchor the Seaholm development downtown. The project looks to open sometime in late spring or early summer. Manager Scott Walker describes the restaurant as "a three-space concept." Boiler Nine Bar + Grill, he says, will be the main restaurant. Cuisine will be eclectic but focused on local ingredients and "interesting takes utilizing a large wood-fired grill." Deck Nine, a top-floor cocktail garden, and The Boiler Room, a basement bar, round out the concept. Walker also says Jason Stevens will handle all the drinks and Thomas Ward will round out the beverage program. Jason Stude will be executive chef. Shawn Cirkiel's fifth project hopes to open this summer at 4807 Airport Blvd. The cuisine will be Spanish, served tapas-style, and the bar will have an all-Spanish wine list and a lengthy list of sherries. Former TRACE chef Lawrence Kocurek's newest venture will launch in the space on Congress Avenue directly below Swift's Attic in late February 2015. A 26-seat chef's counter will offer seasonal dishes in — you guessed it — three-, five- and seven-course options. The restaurant recently named Jason Huerta as the restaurant's sommelier and Damien Brockway as the chef de cuisine. The long-awaited Italian restaurant from Andrew Curren (24 Diner, Arro) arrives in the Starr Building lobby in spring of 2015. Expect a simple menu of pizzas, roasted chicken, steaks and a rotating selection of pastas. An all-Italian wine list from Master Sommelier Craig Collins will be featured at the bar, along with cocktails and aperitifs. Three restaurants are slated for Austin's newest luxury hotel, which is scheduled to open on Friday, February 13. There will be a self-titled "Burger Bar," a Texan restaurant with tequila bar named Corner, and an upscale regional Italian restaurant called Osteria Pronto on the property. A double bill for Windsor Park? Progress continues on this Texas brasserie and coffee bar slated for "hopefully summer 2015." The Berkman Drive restaurant duo aims to be a hub of Windsor Park and Mueller social life, and intends to offer brunches, barbecues, crawfish boils and, crucially, a kid-friendly play area. This new venture from noted barman Josh Loving will open sometime in spring 2015 in the former Mike's Pub space on East Seventh Street. 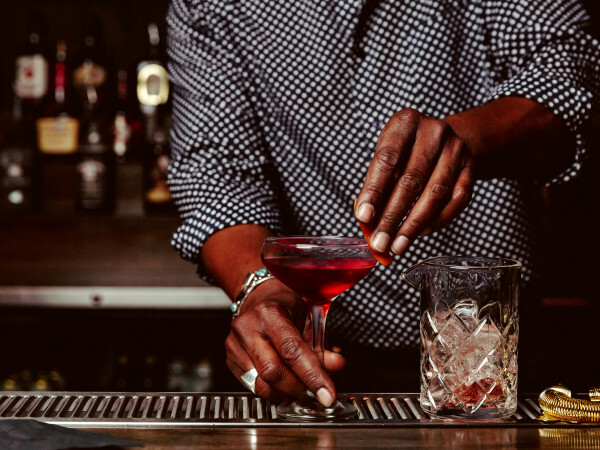 Look for Loving's excellent interpretations of classic cocktails with hand-cut ice from a Clinebell machine. Loving is also a wine pro (he has run programs at FINO and Jeffrey's in the past) so Small Victory will offer a limited but curated selection of wines by the glass, as well as some light snacks he describes as "mostly salty and room temperature, like cheeses, olives, nuts, hams, and salumi" to pair with your beverages. Former Four Seasons bartender Travis Tober recently signed on to this Lamar Union restaurant from Chef Joe Anguiano (Uchi, Eleven Plates & Wine). A late winter or March 2015 opening looks likely. Details recently quoted Tober as saying that the bar would have an in-house soda program, showcase a variety of shift shots, and have a selection of "sessionable" lower alcohol cocktails. This Northern Italian restaurant and bar from Nicholas Yanes (former creative director at Uchi) should open in May on East Cesar Chavez. The bar will (of course) have a list of unique and hard-to-find gins, while the Austin American-Statesman mentioned in 2014 that the food will focus on dishes from Piedmont, Lombardi and Emilia Romagna. The latest outing from Emmett and Lisa Fox (Asti, FINO) arrives in 2015 at the Lamar Union center. Look for pizzas, pastas and rotisserie meats as menu mainstays. The equipment is in the door at Jodi Elliott's long-awaited North Austin bakery. Look for an opening in the next 45-60 days for this "pastry kitchen and dessert bar." Construction continues at this ice cream shop from Christina and Ashley Cheng. Spun's take on ice cream uses liquid nitrogen to make ice cream on demand from a selection of local ingredients. They currently expect to open in early spring at 1912 E. Seventh St. The Austin Business Journal reports a late summer opening for this "New York-style pizza with craft beers and a full bar" at 2901 S. First St.
Todd Duplechan and Jeffrey Weinberger's (Jeffrey's) fried chicken project, a revival of a classic Austin chain of yore, should appear on Airport Boulevard sometime in the second half of 2015. Expect fried chicken, rotisserie chicken and Southern sides. Expect announcements soon on multiple restaurants and bars in the forthcoming boutique South Congress Hotel. The project is helmed by Jesse Herman and Delfo Trombetta's (La Condesa, Sway) Violet Crown Management, so expect good things. 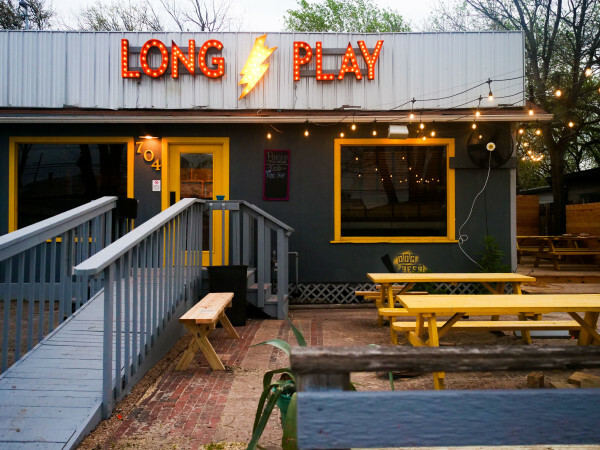 Construction is nearly done at this relocated East Austin favorite. Look for an opening in late winter of 2015. A new restaurant from Rainey Street powerhouse Bridget Dunlap, Nuns & Lovers will arrive near Chicon and East Sixth streets sometime in 2015. 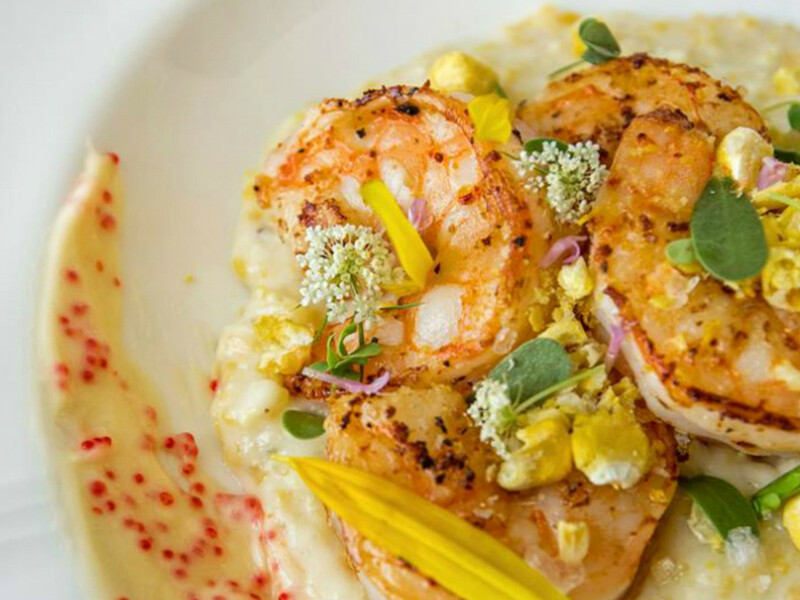 This destination dining newcomer from Chef Taylor Hall should open sometime in February. Look for oysters, seafood, a Wagyu ribeye and a full cocktail menu. ELM Restaurant Group is keeping busy. In addition to forthcoming Italian restaurant Italic, they'll also open a "Classic American" restaurant with soups, sandwiches, pastries and chicken pot pie this summer on West Avenue. This "Latin coastal kitchen" from Alma Alcocer and Jeff Martinez will take over the South First El Chile space soon. The menu will focus on seafood dishes from throughout Latin America, and the current El Chile menu features weekly specials from the forthcoming restaurant. Chef Jacob Weaver heads to 1500 Barton Springs Rd. late this spring with an Italian melange of pizza, pasta, seafood and steak. This new seafood project from Shane Stark (Kenichi, Paggi House) and Roberto San Miguel will give East Austin a much needed seafood market and restaurant. Despite utility delays, the restaurant hopes to open in early spring. A new European restaurant in the former Garrido's space; look for crazy artwork and Euro-French fusion sometime this spring. This family-owned restaurant with a menu from former Aquarelle Chef Teresa Wilson is in the home stretch. Restaurant GM Diana Salazar reports: "We are getting so close! Training is starting, inspections are finishing, and we will definitely be ready for action by the end of February. The restaurant's drive-through will open first, with lunch and dinner service to follow." Counter Cafe (East Austin): The second location of the downtown favorite is now open at 1914 E. Sixth St.
Flores (Southwest): The Oak Hill location of the popular family restaurant relocated to Arbor Trails in early 2015 and is now open. The Peached Tortilla (North Central): The Peached Tortilla has opened a brick-and-mortar on Burnet Road. A full bar is featured, and our experience there was impressive. Expect a laid-back setting, reasonable prices and a carefully curated bourbon and beer list. Ramen Tatsu-Ya (South Lamar): Tatsu-Ya's eagerly awaited 1122 S. Lamar Blvd. location is now open, much to the delight of 78704. Order the #2 and #3 and share them, and grab a Hitachino Nest on draft. Salvation Pizza (Rainey Street): The Rainey Street location of this tasty UT-area pizza purveyor opens late this week, which will give Rainey a lunchtime pizza option (Via 313 is only open for dinner most days). A third location in 78758 is also in the works. Lucky's Puccias (Downtown): After a successful Kickstarter campaign, this popular trailer opened a brick-and-mortar at 1611 W. Fifth St. in mid-January. In addition to the puccias (an Italian wood-fired flatbread sandwich), pizzas are now on the menu. Chi'lantro (South Lamar): Chi'lantro pulled off a surprisingly quick brick-and-mortar opening in the former A-OK Chinese space on South Lamar in January. Barley Swine (Burnet Road): Though early reports pegged Barley Swine's second location as arriving in late summer, Gilmore's representatives now say he's targeting Q4 of 2015 for the lauded restaurant. Bufalina (Burnet Road): As with Barley Swine, Bufalina will satisify massive demand with a second location at 6555 Burnet Rd. They expect to open in the fall. Caffe Medici (South Lamar): A new Medici hits Lamar Union this spring (their signage says March, though that looks ambitious). Cooper's BBQ (Downtown): The newest outlet of the Cooper's empire will stay open late, have a top-floor bar and will serve the same fare as other popular locations. The restaurant hopes to open in May. Easy Tiger (North): North Central Austin has a wait in store for a new location of Drew Curren's popular beer, bread and sausage outpost. The ELM Restaurant Group estimates that spring of 2016 is the current timeline for opening. Gourdough's Public House: The newest location of Gourdough's Public House opened at 209 B W. Fifth St. in late January. Just in case you need booze and donuts without leaving 78701. La Barbecue (South Congress): The geniuses at La Barbecue are planning a move back to 78704 in 2015. Expect a brick-and-mortar in the South Congress Avenue area. No timeline or address is available. Lick Ice Creams (Burnet Road): After expanding to San Antonio's upscale Pearl complex, the popular local ice cream spot now looks to North Austin. Lick joins Bufalina in the 6555 Burnet Rd. building, and is targeting a May opening. Lonesome Dove: Tim Love's Fort Worth empire takes a road trip to Austin with a new Lonesome Dove location downtown. The restaurant will open sometime in 2015 in the former Kenichi space. No opening date or further details have been announced yet. Michi Ramen (South Lamar): Construction is underway on a second Michi location on South Lamar in the Corners shopping center at 3005 S. Lamar Blvd. (in the same strip as Kerbey Lane Cafe) in the next few months. Papalote Taco House (Northwest): The interior Mexican tacos at Papalote are a hit in South Austin, so construction has commenced on a second branch at 13265 Research Blvd. The new spot is due to open sometime in the first half of 2015. Peche's Isla: The team behind Peche is converting the former Pleasant Storage Room space into its idea of a proper tiki bar. Look for sneak previews of these drinks at Peche on Sunday nights this winter. Pinthouse Pizza (South Austin): A second location for the new-ish brew pub will arrive at the Brodie Oaks shopping center sometime in summer of 2015. Second Bar & Kitchen (The Domain): While it won't debut until next summer, North Austin fans of David Bull's perennially popular Second will get their own location in the forthcoming Archer Hotel at The Domain. The Archer is a new luxury boutique hotel brand with a location also coming to the Napa Valley. Shake Shack (South Lamar): Perhaps the only chain besides In-N-Out coveted by locals, the Shake Shack should open on South Lamar next to the Alamo Drafthouse in late spring 2015. Taste Of Ethiopia (South Congress): Woinee Mariam's beloved Pflugerville Ethiopian restaurant heads to South Austin this spring at 3801 Congress Ave. The team is targeting an April opening. Thai Kun (The Domain): The very spicy and quite popular Thai food truck from Paul Qui and Thai Changthong will go brick-and-mortar at The Domain at some point in 2015. Details are forthcoming. Via 313 (Oak Hill): Work has begun on Via 313's Oak Hill brick-and-mortar, which will occupy the former Flores space at 290 and William Cannon. The restaurant has a Facebook page up for the project, which lists an April 2015 opening. The restaurant will have craft beers, a cocktail program and two different styles of pizza.